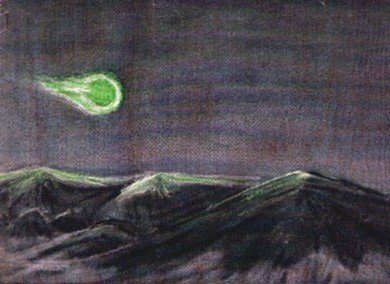 2012 Slow Green Fireball Train in UK: Satellite or Meteor Break-Up? I hate being dragged into these “modern” reports, since the Tusk specializes about this kind of stuff in the ancient past. But the UK event yesterday was really, really cool and I have posted before on these slow greenish fireballs. Multiple reports make clear the object was moving from east to west. 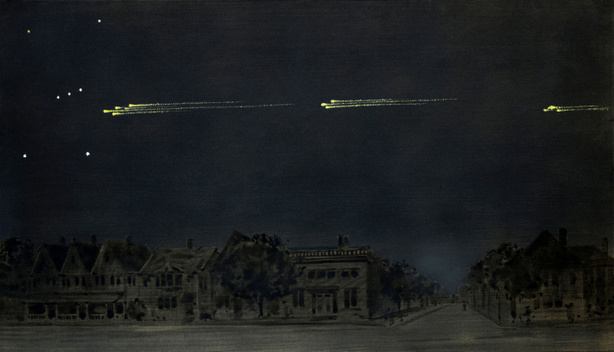 A report of observers from Bussloo Observatory, the Netherlands, for examples states that the fireball appeared in the north, moving from Perseus to Bootes, almost horizontally from east to west. Similar reports (e.g. hereand here) come from Ireland.